My mother passed away nearly 20 years ago, so I think it’s probably time I stopped listening to her. This has a firework type of composition. I think it will work fine. Sometimes, you just have to break the rules. Since most of the butterflies that are attracted to this plant are Monarchs, there is a lot of orange (of course, not Prismacolor orange) in the composition. 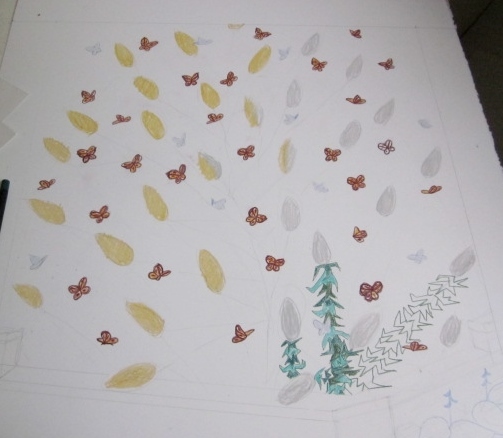 Therefore, the foliage is going to be a bit on the bluish green side, to compliment that. So, here’s the start. 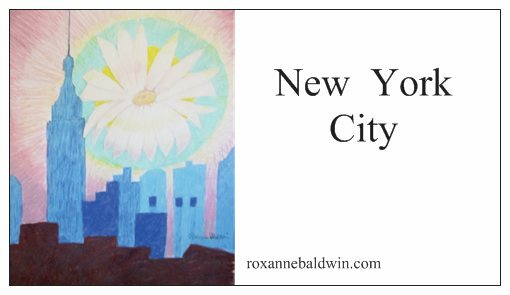 Another project of mine (and other artists, feel free to use the idea) for self-promotion….small magnets that I can give out on the street as free souveniers of New York City. The trick? My website address is on them. My plan is to stand across the street from the Plaza Hotel, and hand them out to tourists. Wearing my tie-dye sunhat. The weather has been upwards of 90 degrees Farenheigt, though, and very humid, so this project will have to wait.